Our craftsmanship and attention to detail make us stand out from competition. Commitment to quality is the key to our success. Straight A Builders is a full service licensed builder and general contractor specializing in custom homebuilding, residential and office renovation and remodeling as well as commercial projects. Our team of seasoned professionals provides our clients with Straight A quality workmanship. As a locally owned and operated Northwest Indiana company, Straight A Builders is focused on cultivating a long term relationship with our clients. From concept to the culmination of your project, you will have a team of dedicated and service oriented partners working with you through every detail. 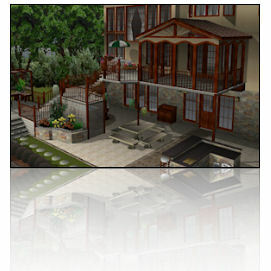 With Straight A Builders your satisfaction and peace of mind is guaranteed! Please find the category below that best fits the project you have in mind and start with the corresponding gallery link to see a sampling of Straight A Builders capabilities in that specialty. Client references are available by request and also on the Testimonials Page. The many years of experience and extensive knowledge of building homes and their infrastructure give Straight A Builders the confidence to solve any challenges that arise during the task. It is sure that you will not only get the best looks but also the best workmanship - with careful attention to even the smallest details! A commitment to fairness and honesty along with knowledge and work ethic are the combination you need in a contractor to make your project a success. Straight A Builders will work closely with you from design stage through, and beyond, handing you the keys, to guide you to the truly custom home of your dreams! One of the many reasons why Straight A Builders is the best choice for your construction needs is that, with Straight A Builders, you will have the option of actually seeing three dimensional views of what your new home or addition will look like even before construction begins! Taking the time to properly plan will prevent needless job delays and guarantee that your project will be just as you dreamed it would be! Make no mistakes, contact Straight A Builders and learn more about this state of the art service now offered. 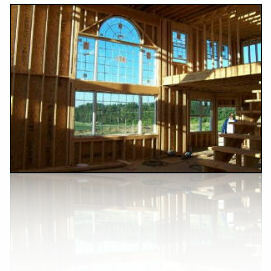 Straight A Builders began years ago primarily as a custom home framing contractor. While the frame is hidden in the end, many long term problems prevail when structural and other framing details are neglected, as they so often are in this market. Straight A Builders will oversee the process, beginning with a thorough plan review, to provide integrity that will last and perform. 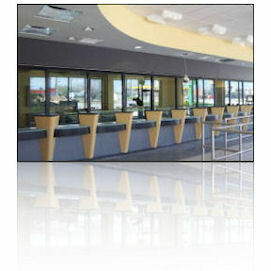 Straight A Builders is well qualified to contract the buildout for your new office or retail location as well. If you already have a contractor on the project, consider letting Straight A Builders supply you with quality carpentry for your metal stud framing, drywall, ceilings, and cabinet installations. 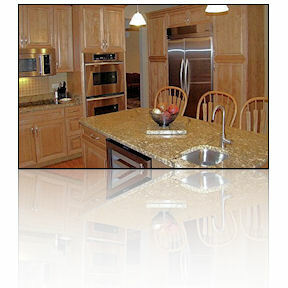 Straight A Builders, Inc. is a northwest Indiana general contractor and subcontractor. 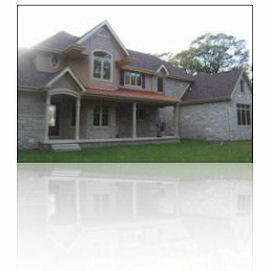 We specialize in building new custom homes, general contracting, remodeling, bathroom remodeling, kitchen remodeling, major renovations, home improvements, commercial build outs, millwork installations, insurance repairs, basement finishing, additions, bonus rooms, sunrooms, decks, trim work, finish carpentry, cedar siding, soffit, window replacement, garages, and more. We are Lake County Indiana based builders servicing, but not limited to, Crown Point, St. John, Schererville, Cedar Lake, Dyer, Munster, Lowell, Merrillville, Hobart, Highland, Hammond,IN. Please call for a free estimate: 219-661-9124.